A couple of days in the past week, 12th St. across from the Quarterdeck Restaurant in Ft. Myers Heights has been closed. Crews are digging into the road surface to switch water service from the 6 inch main to the 12 inch main. The 6 inch main, which is an old pipe, will then be shut off. That will help to avoid a main break like the one that occurred this winter and covered the road in ice. 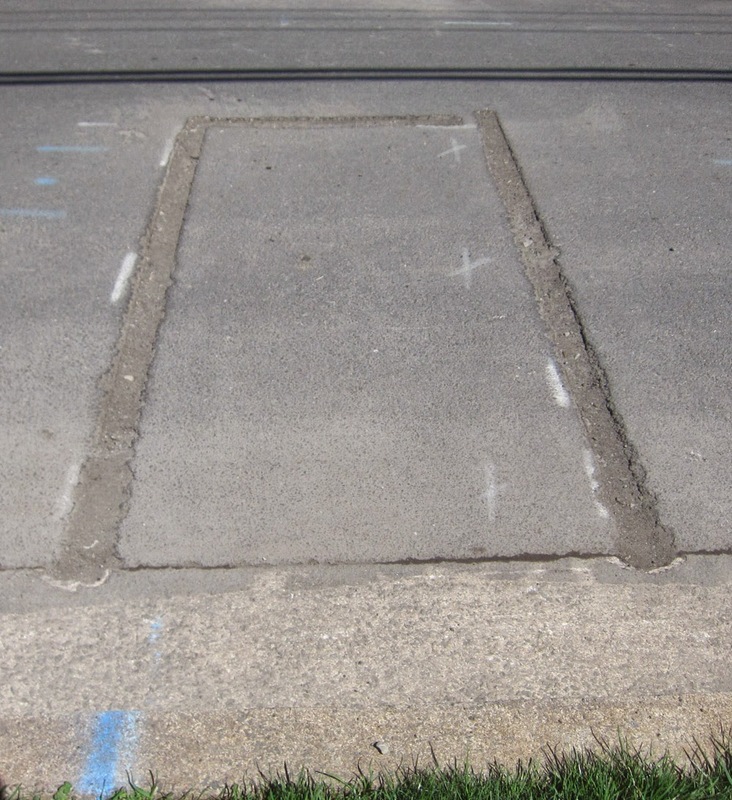 The small outline trenches indicate areas of pavement that will be dug up. 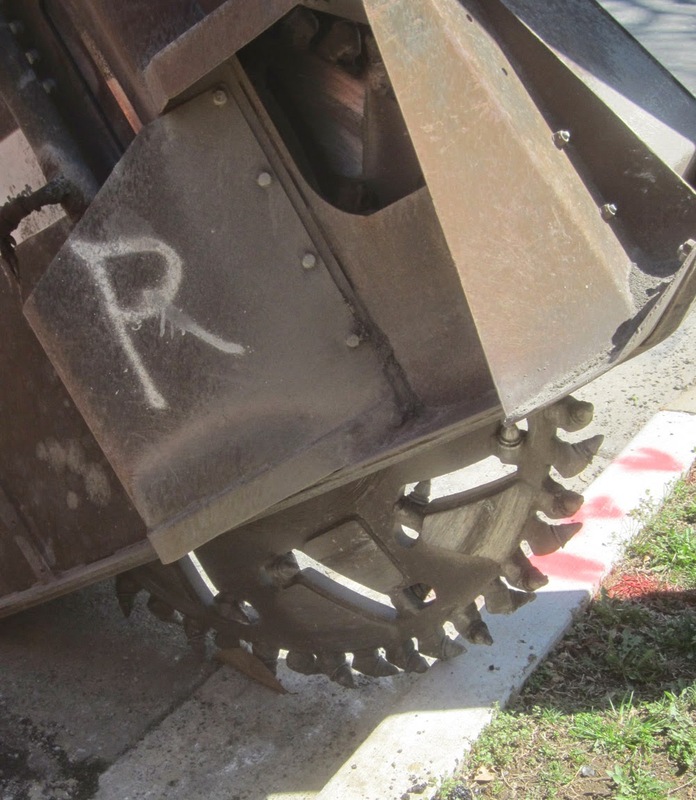 The outlines are cut with a pavement saw so that when the pavement is dug up, the hole has clean, linear edges. Without the pre-cutting, digging would pull up chunks and make an irregular-sized hole. Maintaining our public infrastructure is an important and complex job. The Ode Street Tribune closely follows the health of local public infrastructure, and you should too. Could be minimalism. But I think it really is just a water pipe repair. It does beg the question: what is a water pipe repair anyway?